The AWS Elastic Load Balancer enables you to balance all incoming traffic of several EC2 instances. The Elastic Load Balancer only sends traffic to healthy EC2 instances. As a result, one of the use cases is achieving the fault tolerance for various applications such as websites in order to route traffic across multiple web servers automatically. 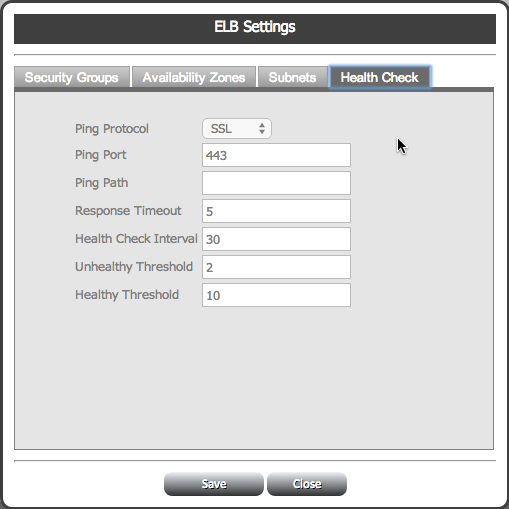 The ELB can also be used for high availability where EC2 instances are distributed and scattered across several availability zones. All traffic are routed to EC2 instances that remain available whenever an instance becomes unavailable or when the entire zone becomes unavailable. The Amazon AWS Management Console is a tool that enables you to create new ELB as well as register or deregister EC2 instances. You need to automate this process in some cases to allow EC2 instances to be added or removed from the Elastic Load Balancer at a particular day and time. Elastic Cloud Gate is able to meet this demand through the development of the Elastic Load Balancer scheduler. 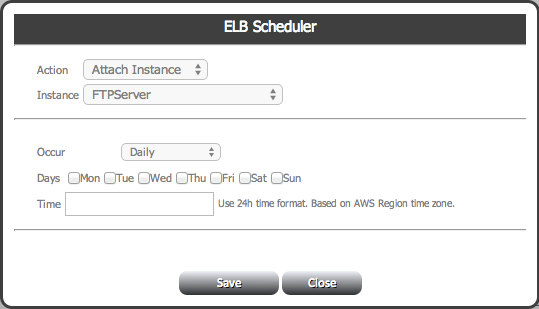 Our ELB scheduler allows you to register or deregister selected EC2 instances on a specific occasion. In addition, you can review the status of all your Elastic Load Balancers. You can determine how many instances are attached to it as well as which instances are out of service. You can change the settings of your Elastic Load Balancers, chart metrics and statistics in a couple of simple steps. You can also delete the Elastic Load Balancers that you no longer need. In addition, you can register and deregister EC2 instances manually. You can now manage your instance traffic through the Elastic Load Balancer in the most convenient way. Copyright © 2012-2019 Elastic Cloud Gate LLC. All Right Reserved.